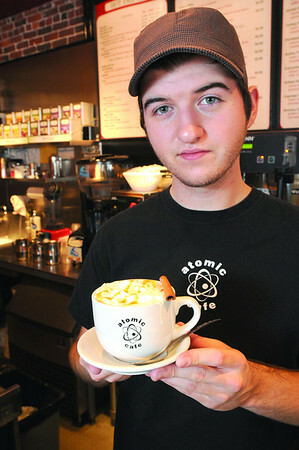 Jeff Gately, barrista at the Atomic Cafe, made the hot caramel cider. Photo by Ken Yuszkus/Salem News. Thursday, October 16, 2008.